Guntersville Lake, near the town of Guntersville, Al. has survived the test of time…and the ultimate test of man. It is Alabama’s best big bass reservoir! Impounded in 1939 after 4 years of dam construction, this tremendous weed fishery has undergone meaningless, various ways by man to eradicate the hydrilla and millfoil aquatic weeds that had infested the lake by the late-1980′s. Residents did not like the weeds, for recreational needs were hampered by the sometimes thick, matted weeds that took over entire creeks and made it impossible to swim and water ski in. The anglers praised the weeds, for bass made their homes in and around these oxygen-rich, baitfish-infested weeds. These were Big bass that eventually made their way back to the lakes original wood and rock cover in deeper water, when attempts to eradicate the weeds with the spraying of pesticides made the water intolerable to exist in. The stocking of grass-eating carp did no good either for when they run out of weeds to eat, what will they eat next? Grass shavings thrown in the lake by residents mowing lakeside lawns? Regardless, Guntersville Lake has shown a tremendous comeback and bass are back in the weeds that are now thriving again. The lake still has an excellent summertime fishery not only for big, trophy sized largemouth bass but for all other species of fish as well. As summer heats up the shallows you can choose to target bass buried up in the thick weeds during early morning hours, late in the day, or during a rare, all day rain. Best lure choices can mean fishing with an array of topwater lures, various sizes of spinnerbaits, brightly colored floating worms and baitfish imitating soft jerkbaits, in and around the thick, matted weeds. 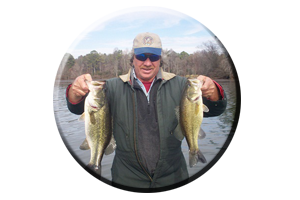 * Frog and rat imitations made so popular on Guntersville lake years ago, still produce big bass during the summer months and fall period. Deep-diving crankbaits, rattling half ounce or bigger lipless lures, 6-12 inch Texas-rigged plastics like worms, lizards, senkos or creature baits, Carolina-rigs, jigs with trailers, or slow-rolling heavy spinnerbaits. When fishing around all the shade-producing areas like man made piers, boat houses and marinas, anglers will see these shady areas can actually produce some quality sized bass. 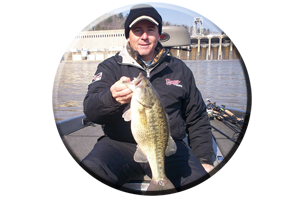 * This type of wood cover has accounted for many wins in major bass tournaments in years past held on Guntersville lake during the hot summer months of June, July and August. 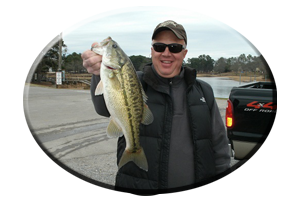 Finesse fishing with mini-sized lures such as small plastic worms, small lizards, grubs, tube baits and gitzits will also take numbers of bass all throughout Guntersville Lake this summer season. Jig heads rigged with various small plastics will fool Guntersville’s big bass into biting when at times they may ignore other more gaudy sized offerings in the often very clear water of mid to late summer. Venture out on Guntersville Lake at night and you better know your way. This huge lake can be awfully intimidating at night. So can the resident bass! Its really quite simple. The same places you normally fish during the day will produce bass at night, with the same lures. The thick weeds can also show tremendous fishing late in the day and early in the morning. Bass come out and roam weed edges at night and they generally are more catch able than during the bright, sunny days when they get skittish from boat traffic and many bury up in thick, weedy cover. Even crankbait bass can be caught at night fishing away from the shoreline with crankbaits. After all, if a baitfish is fleeing in the night won’t the bass nail them just like during the day? Surprisingly, many anglers fail to give this off-the-wall nighttime tactic a try. Rip-rap rocks are excellent places at night to experiment with lures like shallow to deep diving crankbaits, jerkbaits and lipless lures. As on any lake the lights around piers, boat houses, marinas, bridges and rip-rap lined causeways attract baitfish at night. The bass are always nearby, feeding on unsuspecting prey that may venture to close to these darker areas. 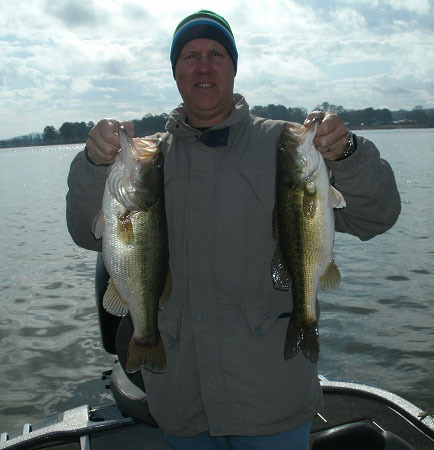 Targeting these type of well lighted places, both in and around shallow water and deep water, can often mean an encounter with one or more of Guntersville’s bigger largemouth bass. Like a ten pound plus bass! So be ready! Utilizing stout equipment, sharp hooks, strong line and a good long handled net are all a must…especially when targeting Guntersville lakes big, largemouth bass…at night.